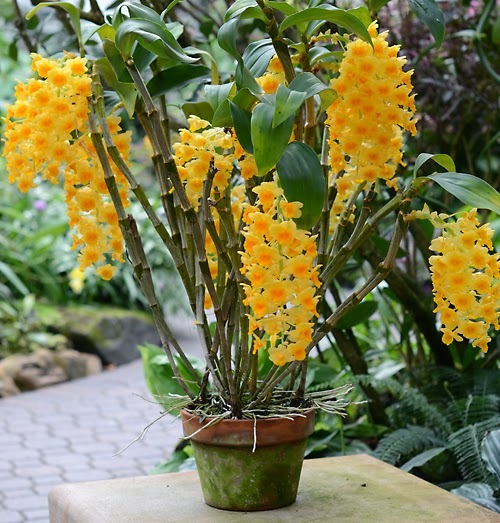 March is Dendrobium season around here--the month when our Dendrobium species wake up and want attention, right now. The month when we become their servants. We practically need a full time staffer just to rotate all of the flowering dendrobiums through the display. 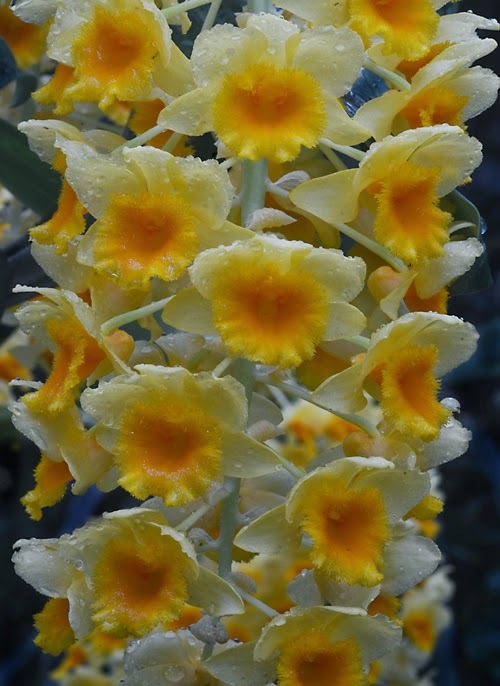 Dendrobium densiflorum is one of my favorites. It is the orchid family's Narcissus. In the wild it grows in upland areas (1000 to 1800 meters) in the eastern Himalayas, Nepal, Burma, Thailand, Laos, Vietnam and southwest China, in areas with a distinct dry season. Our plants never fail to flower spectacularly after a dry, bright, cool (ours get 53º night min. between Thanksgiving and New Year's) winter. 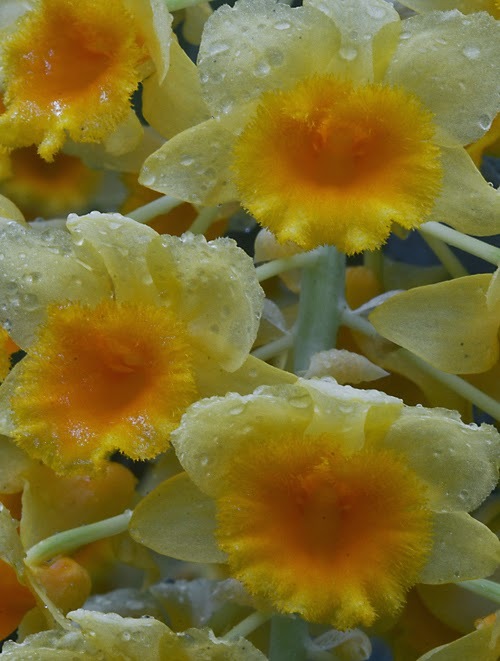 Dendrobium densiflorum was introduced into cultivation in England by Loddiges Nursery in 1830, and it remains a popular species, and fairly common in the trade. Highly recommended if you can provide it the cool dry rest in winter and a warm tropical summer.